While the partial government shutdown did not delay launches already licensed, like a Falcon 9 mission Jan. 11, it did delay publication of proposed revisions to launch licensing regulations. The FAA was working to release a notice of proposed rulemaking, or NPRM, on Feb. 1 on revised regulations to streamline the launch licensing process. That deadline was set by Space Policy Directive 2 announced in February 2018, which called on the Department of Transportation to "rescind or revise those regulations, or publish for notice and comment proposed rules rescinding or revising those regulations" by that date. However, the FAA did not publish an NPRM on Feb. 1. FAA spokesman Hank Price said that the five-week partial government shutdown, which included the FAA, has delayed the release of those proposed rules. "We are assessing the timeline in light of the recent shutdown," he said, but did not give a new schedule. Space industry executives expected that the FAA would miss the Feb. 1 deadline because of the shutdown. "A lot of us were waiting for these new draft regulations, which are supposed to be the first major overhaul of licensing of our industry over the last several decades," said Courtney Stadd, director of government affairs for Vector, a company developing small launch vehicles. Stadd, speaking at a Jan. 30 panel in Washington on the state of the space industry organized by the Space Foundation, said he anticipated the release of those draft rules would be delayed. "Inevitably, that [shutdown] is going to have some impact in terms of moving that to the right." "I think, frankly, after repeated calls for that engagement, it is of concern to me, and to a number of other members, that the FAA has decided not to do that," said Brett Alexander, director of business development for Blue Origin, at that meeting. The FAA defended its approach because of the tight schedule the agency was on to publish draft rules by Feb. 1. "We’re moving at a rocket pace. 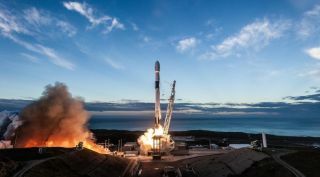 We’re going as fast as we possibly can," Kelvin Coleman, at the time the acting associate administrator for commercial space transportation, said at the COMSTAC meeting, noting that the FAA was working to compress its normal processes to meet the Feb. 1 deadline. This story was provided bySpaceNews, dedicated to covering all aspects of the space industry.